Does drug addiction rehab treatment really work? What happens in drug addiction rehab treatment? How is it useful? Does it really help? These are some of the many questions we often get about addiction rehab treatment. Drug addiction is a progressive, incurable disease of the brain. If left untreated drug and/or alcohol addiction if often fatal. 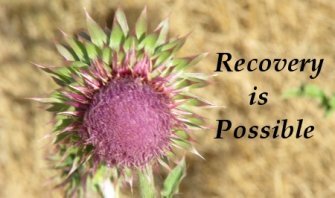 One component of addiction recovery is addiction treatment in a rehab facility. But often it only works if it's combined with other support and resources and it may take a few failures before it works. Because drug addiction is a disease characterized by relapse, many people will go to an addiction rehab center and immediately relapse once they're no longer in treatment. It often takes multiple times going to treatment before the addict learns the skills necessary to avoid relapsing. There are ways to avoid relapse, but usually it takes a while to truly understand the addiction so that it can be successfully treated. Motivational Interviewing (MI) is a therapeutic technique often used by addiction counselors that can be extremely useful in the early stages of recovery. MI helps to explore what changes need to be made in order to avoid relapse and stop using drugs and/or alcohol. MI helps the addict to explore what they want to change in their lives and how to go about changing it. If done correctly, MI is a supportive non-judgmental therapy that helps to define and initiate the change process that is required to end the addiction. Each person is unique, and their addiction is unique. There is no easy solution and MI helps the addict determine their needs and path as they more away from addiction and into recovery. It's a person-centered therapy, which support the addict deciding their own path to recovery, not somebody else telling them what they should do. Motivational Interviewing, through extensive research, has been shown to be a useful therapy for addiction recovery. Does drug addiction rehab treatment really work? The short answer is yea it can if relapse is avoided after treatment.